Royal Ontario Museum entomology technician, Antonia Guidotti, helps with the identification of an insect. 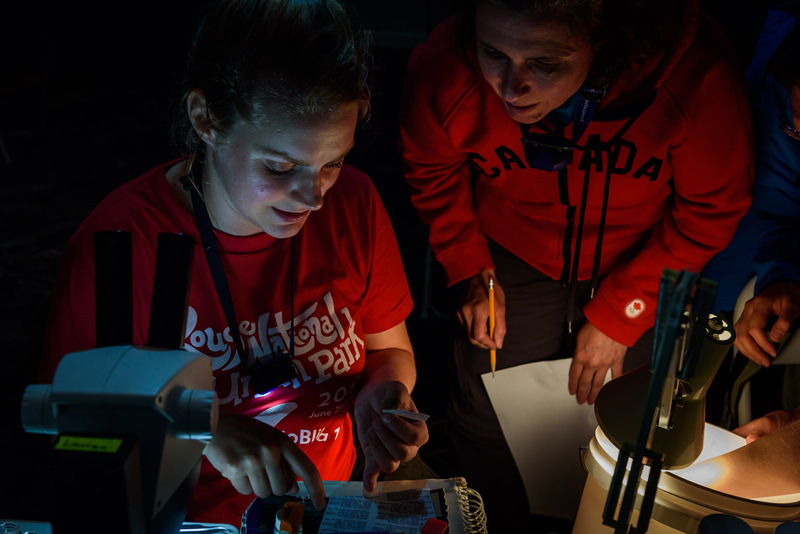 During scientific intensive BioBlitzes, participants will often spend all night identifying and cataloguing what had been collected during the day. Toronto Rouge Park, Canada BioBlitz 2017.